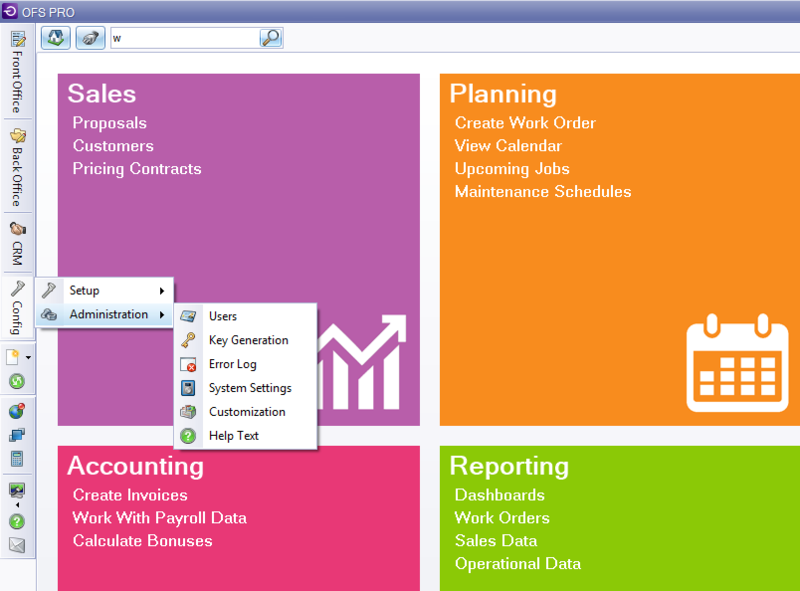 Open the “New User” window by pressing Ctrl+N or right-clicking within the grid and selecting New from the pop-up menu. All yellow fields in the window are required information, while white fields are optional. Enter the username, first and last name, and email address. The username is usually entered as the first initial of their first name, plus the full last name. It may include the employee company’s domain network prefix. Check the “Remote Access Allowed” box to grant the user access to the OFS Pro Desktop application. The remote password must be between six (6) and twelve (12) characters long, with at least one uppercase letter, one lowercase letter and one number. Check the “Is Web User” box to confirm access to the OFS Pro web application. The web password must be between six (6) and twelve (12) characters long, with at least one uppercase letter, one lowercase letter and one number. Setting an expiration date will set the user to “Inactive” after a specified date. An Inactive user is unable to access the application. Click OK to close the window and to save the new user. Locate the existing user in the user grid. Navigate to the “User Groups” tab below the main grid. Select the desired Group Name from the drop-down list. Select the “Valid From” date to specify when the user will begin as a member of the group. Selecting a “Valid To” (expiration) date is optional. A user group is a collection of pre-defined permissions which determines the modules that the user can access and the database entries that can be edited by the user. A complete table of all pre-defined user groups and their abilities in the system can be found in the Appendix.